MARCH 10, 2017 – The prominent online daily photo magazine L’Œil de la Photographie, of Paris and New York today published all of the photographs from Orin Langelle’s 2015 exhibit The End of the Game: The Last Word from Paradise – Revisited. 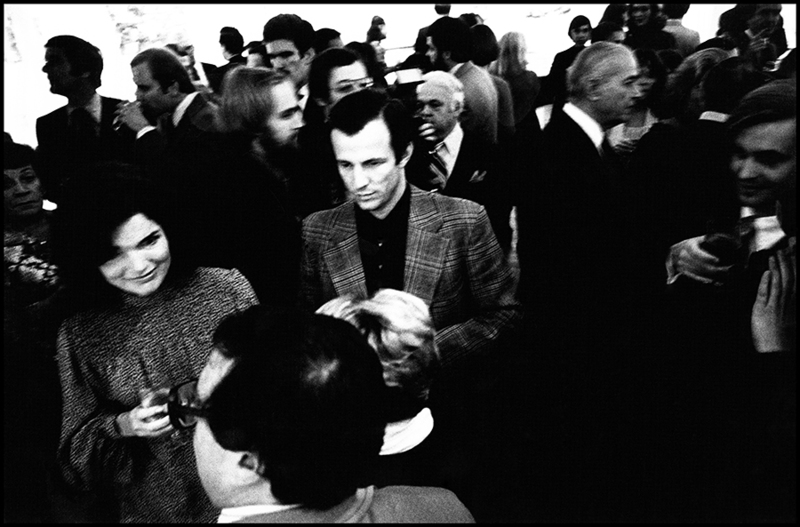 Langelle’s photos document photographer Peter Beard’s first one-person show at the International Center of Photography in Manhattan in 1977, including his 40th birthday party at Studio 54. Over four months Langelle photographed Beard and the people, many celebrities, that were part of Beard’s life prior to and during the exhibit’s installation and the subsequent opening, plus Beard’s 40th birthday party at Studio 54 in January of 1978. Langelle’s photographs are of events surrounding Beard’s 1977’s The End of the Game. The ICP installation consisted of Beard’s photographs, elephant carcasses, burned diaries, taxidermy, African artifacts, books and personal memorabilia. In the early 60s Beard worked at Kenya’s Tsavo National Park, during which time he photographed and documented (illegally) the demise of over 35,000 elephants and 5,000 Black Rhinos. With the support of the Peter Beard Studio, ¡Buen Vivir! Gallery presented this exhibition to commemorate the 50th anniversary of Beard’s book, The End of the Game – The Last Word from Paradise.